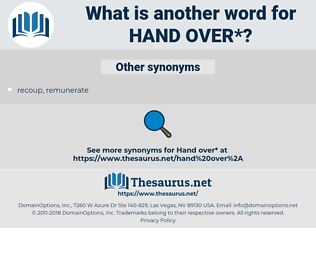 What is another word for hand over? give someone enough rope (to hang themselves). fight, win, defend, guard, take over, gain. 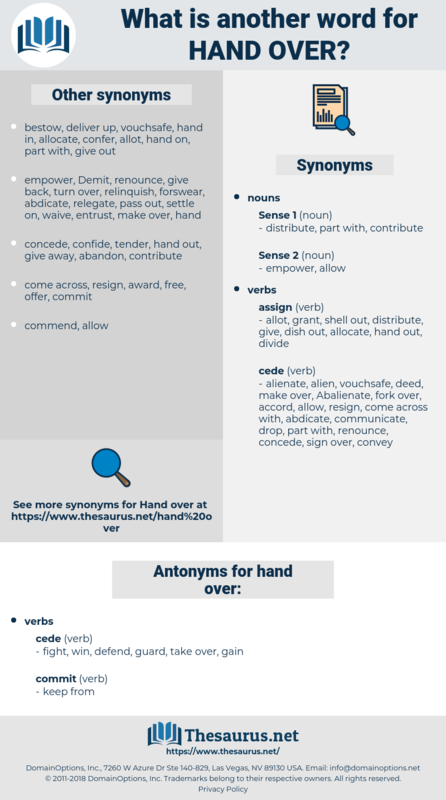 dispute, reject, dissent, Disacknowledge, repudiate, contradict, disagree, refuse. detain, save, conserve, preserve, reserve, hold back, accept, occupy, keep up, receive, possess, maintain, own.